$14 Million Settlement – in an explosion that occurred at a nursing home and resulted in death or devastating injuries to our clients. $6 Million – A wall collapsed on a construction project. Our clients died or suffered catastrophic injuries in the collapse. $4.2 Million – Commercial truck hit and killed our client, a married father with two children. $3 million+ Collected – for a man injured in a motor vehicle accident, rendered a quadriplegic. $2.85 Million Settlement – in the wrongful death of our client who died in an auto accident. $2 Million Paid – in no-fault benefits, including housing, transportation and medical expenses, for bi-lateral amputee. 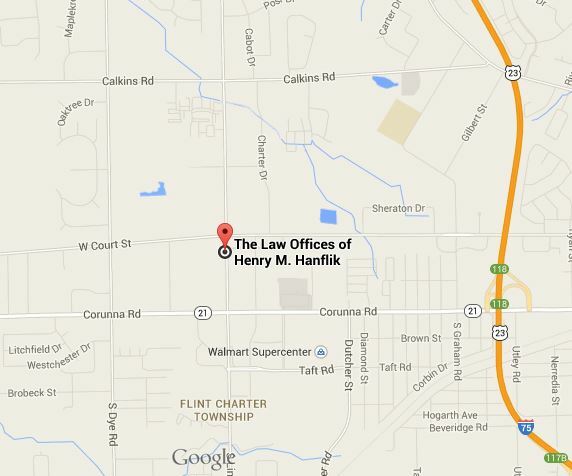 $2 Million Awarded – for an auto accident resulting in wrongful death. $1.80 Million Settlement – for a motorcyclist’s multiple injuries in a head on collision. $1.75 Million – Our client, a working wife and mother, was struck broadside in an auto accident and rendered permanently disabled. 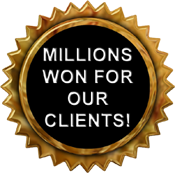 $1 Million – Our client was intentionally struck by a motorist and suffered severe lower leg injuries. $915,000 Settlement – for our client who suffered severe and disabling shoulder injuries in an auto accident. $750,000 Settlement – in a motorcycle accident death case. $750,000 Paid – in nursing care benefits for a child who was head-injured in an auto accident. $600,000 Paid – to a man who was struck by a truck and sustained various injuries. $600,000 Recovered – for a student injured in a school by defective glass in a doorway. $600,000 Collected – for no-fault benefits and injuries suffered by our client in an auto accident. $550,000 Paid – to a man who suffered head injuries in an uninsured motorist claim. Now he has returned to work. $500,000 Awarded – to catastrophically injured man for family provided health care. $470,000 Paid – when a forklift struck our recently-retired client while he was at a business. Our client received shoulder and back injuries that required surgery. $400,000 Settlement – for nursing care benefits for a family of a head-injured child who was struck by a hit-and-run vehicle. $295,000 Settlement – for our client, a young child, who suffered injuries to the face and neck when she was attacked and bitten by a dog. Millions of Dollars recovered for family provided home care for motor vehicle accident victims.